I love when Lancôme does a gift with purchase! I went to get a new tube of one of my fave mascaras (hynôse star), and to my pleasant surprise…. gifts with purchase!! Several things not pictured, one if which was a huge, fab charcoal makeup bag! I love this eye shadow set. 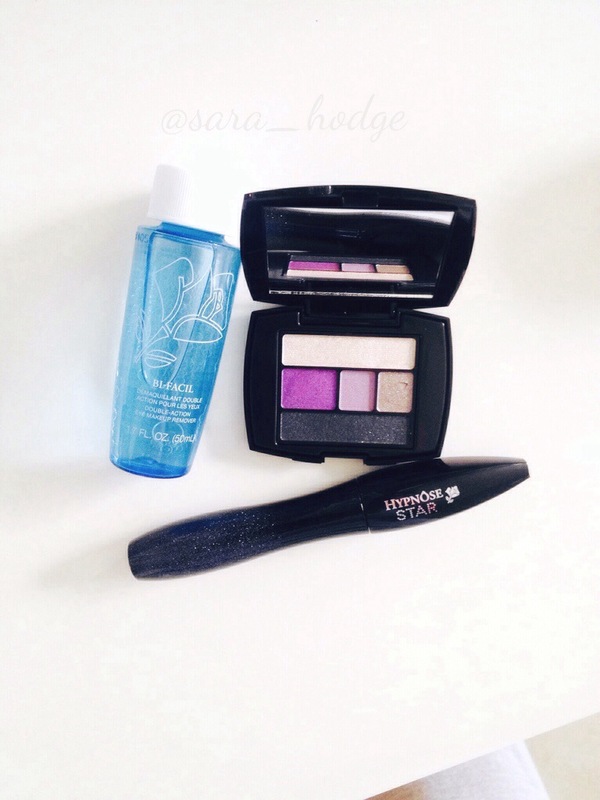 A smokey purple is one of my top two eye shadow looks…so this is quite the treat! And who doesn’t love the world’s best (in my opinion) eye make up remover? Score!